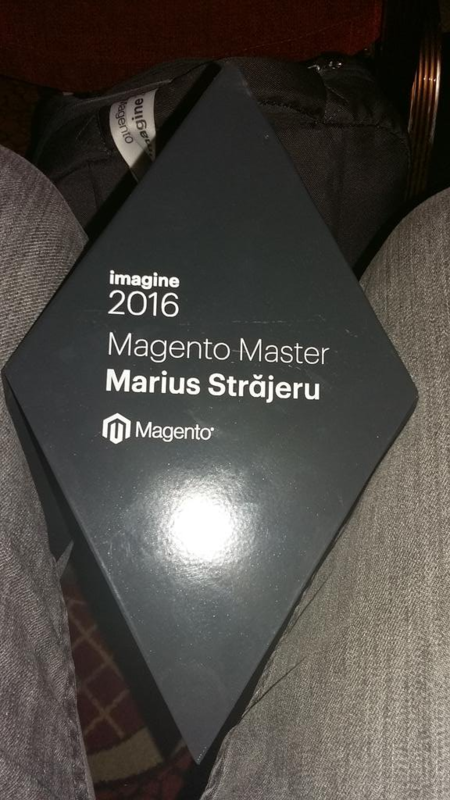 Marius by person is a very down to earth guy while he has a very vast professional experience and knowledge in the Magento field. He happens to be very active at Magento forums and all the Magento Communities. His expertise is in Magento Module Development. He is considered as this era’s dominant Magento Developer and ranked number 1 on Magento Stackexchange. He has made important contributions to the development of Magento Platform, Magento Core Development, and Magento Extension Development. Read our exclusive interview with this World Class Magento Developer to find out more about his self-learned journey. Arpatech: Marius, you have vast years of experience PHP Development side. How you started your career? When and how you started working with Magento? What challenges did you face in the initial stage of your career, and what you learned from these challenges? Marius: I started working with PHP 10 years ago, when I was fresh out of college. I had zero “hands on” experience with web development, but luckily I found a company that was willing to train me. The teal lead there, Florin, was a great guy on and off work, he had a lot of patience with me and he really made me like what I was doing. I don’t think I have any memorable challenges from the start of my career. As I said, I had a great team lead that handled all the “fire-fighting”. But I can mention a challenge that happened 2 years later. It’s called Magento. I started working with it by “mistake” with no one to guide me or help me. No documentation, no previous experience with a similar system, nothing. It took me 1 month to come up with a product import from a third party system, that was really really slow and sometimes crashed. Then I screwed up the core and had to upgrade manually. Then screwed it up again. You probably can guess what I’ve learned from this. Yep…”Never touch the core”. Arpatech: Currently you are working in Arnia Software as a PHP Developer since 3+ years, And in this time frame you got 2 Honor Awards “Magento Pioneer Award” and “Magento Master: Mentor”. How do you feel about achieving these awards? What was your reaction when you were nominated for these awards :)? Share some motivational thoughts with our readers, how you made yourself a Magento Master: Mentor? Marius: You are right. I’ve been working at Arnia Software for more than 3 years (and counting). It’s a great place to work, I’m surrounded by people that I can call, without any regret, my friends. This makes it a lot easier every day. But the awards did not come because of my work at Arnia. I rarely do any Magento projects here. I haven’t worked on one in 2 years. The nominations and awards made me happy of course. It showed that the work I’ve done so far is appreciated and useful. It all started with the challenge I mentioned before. I had to learn Magento by myself. Back then the old magento forum was really slim with shady answers and I started answering questions with challenges similar to what I had to make it easier for others. Years later magento.stackexchange came along and I shifted my focus there, mostly because the forum was more spam than useful information. I had some free time at that point to answer questions. For a lot of them I didn’t know the answer but they were interesting enough to make me dig further. That helped me learn a lot as well. As for motivation, I have nothing more to say than “always take a hands on approach”. I’m not good at motivating people :). Arpatech: Marius, You are the most active and helpful member in the Magento community. What’s your advice for newbie, who want to connect their self with Magento? What is the best Magento learning platform you recommend for developers? Marius: I don’t know if I’m still the most active lately. I don’t have that much spare time as I used to. There are a lot of people that became active on StackExchange and the new forum, Thumbs up to everyone. My advice, same as above, when hitting a problem, first try to understand the problem and then look for solutions. Today, not like 8 years ago, there is a lot of good learning material on the web. There is stackoverflow with a large pool of questions and answers for magento. Now they started the documentation section that covers Magento 1 and Magento 2, there is magento.stackexchange.com, there is the Magento forum and a lot of good blogs out there. I will not list them all because I don’t know them all, but I want to mention my good friends at Inchoo. Arpatech: What would be your recommendations for e-merchants who are looking to upgrade from 1.x to the Magento 2? How do you foresee the future of Magento, After the release of Magento 2? Marius: I don’t think I’m in a position to give advice to merchants about Magento 2. I haven’t worked in a real life Magento 2 project. All I can say is that at some point they will have to make the switch, Magento 1 comes to EOL in 2 years so …. Arpatech: Marius, What are your thoughts about Magento 2? What would you recommend to those developers who are working on migrating their store from Magento 1 to Magento 2? And what features do you think they should keep into consideration while doing the migration? What features you like to see in Magento 2? Marius: I have mixed feelings about Magento 2, but they are based only on the things I’ve been able to dig so far just for fun. There are a lot of things I like, like the plugin system and the fact that there are small separate config files for each purpose, no more big fat config file in which you can get lost. But there are some things I don’t like. The only one I’m going to mention is the lack of consistency. Now, the same thing is done in more ways even in the core. For example the admin grids and add/edit forms. But, from what I understood from the core team, this will get standardized in the next releases. And there are things I don’t understand yet and I don’t want to talk about them :). My favorite improvement in Magento 2 is the way of creating configurable products and the fact that you can see without any clicks, the categories assigned to a products. Those have always been the hardest to explain to new developers and specially to clients. Arpatech: Magento uses extensions and modules, which extensions would you recommend for the deployment of each Magento web store? What’s your advice for building own extensions and which things should the developer consider while developing their own extensions? Marius: I don’t want to recommend any extensions. There are a lot of good extensions out there that serve different purposes. I don’t even know where to begin and I don’t want to turn this interview into a popularity contest. As for advice for building an extension…nothing fancy, just a few common sense guidelines that will ensure a good code quality and an easy maintainability. I wrote this Magento SE post a while ago when I tried to install 2 horribly written extensions and struggled for 1 day to make them work even is they were marketed as plug&play. Don’t be those guys. Coincidence…I’m presenting something about building Magento extension this year at MeetMagento Romania but on a slightly different approach. The slides will be online after the conference. Arpatech: You were an attendee of the Magento Imagine 2016. How many Magento events have you attended till date? 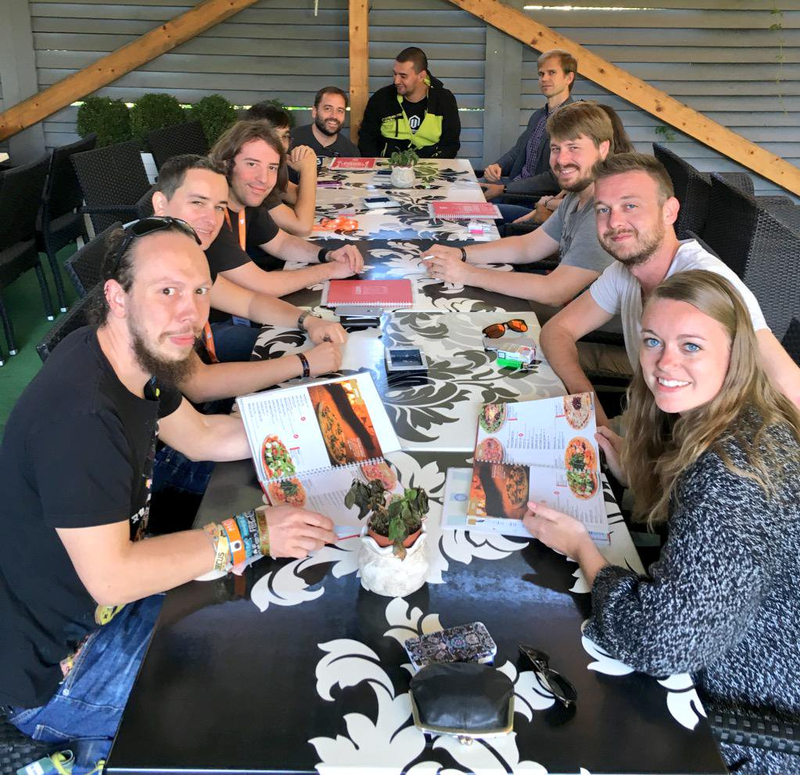 In your opinion, what are the advantages of attending the Magento Imagine and Meet Magento conferences for amateurs who want to involve themselves in the Magento Community? Marius: This year it was my third Imagine and each year is different. Beside Imagine I’ve been twice to Meet Magento Romania (this year will be my third) and to MageTitans Italy this year. Like I said, every conference is different because of the venue, the culture of the country, the food and the after party :), but one thing is the same. The atmosphere. The same friendly people that share the same obsession/passion/frustration/goal. I strongly recommend these events as a way of learning something new or getting new ideas from different presentations but mostly for the people involved. Everyone is friendly and willing to chat over a cup of coffee in the morning and over a beer in the evening. Lets socialize in real life not only on the web. Arpatech: Let’s get aside Magento and talk about your personal interests, how you spend your time besides work? Are you a Family guy :)? Which sport you like to play? Marius: When I’m not working, I spend my time with my wife, Oana, and our 3yo son, Alex. That takes about all of my spare time and I’m loving every second of it. And from time to time I like to compensate the fact that I spend most of the time on a chair in front of the computer. I try, at least once a week to play football/soccer and once tennis. I would really love it if, for a future Magento event, someone organizes a MageFootball or TennisGento or MageBasketball tournament similar to the MageRun events. Arpatech: Everyone has a few mentors, whose work and quotes inspire us. Can you name some of the people of Magento community who have motivated you throughout your journey? Marius: Oh, there are a lot of people that inspire me. I’m sorry because I’m sure I forgot someone in the list below. I have to start with my good friends, the MageStackDay crew. Anna Völkl, Sander Mangel and David Manners. I talk to them daily and complain about our problems and communicate solutions and ideas. Then there is Ben (he doesn’t need a last name, because he’s a superstar). I’m really amazed how he can keep it together while spending more time on a plane than on the ground. Phil Jackson with all the podcasts and NomadMage and all the other things he organizes (I lost track of them), I don’t know where he gets the time. Vinai Koop who is trying to teach the world proper development etiquette and making all of us write tests. Fabrizio Branca that is always one step ahead of everyone and takes development and infrastructure setup to another level. And I really want to mention someone that, from my point of view, does not get enough recognition and exposure in the Magento Community even if he should. Allan MacGregor. A great guy and a Magento Guru. Great, I’ve been asking this question since the beginning of the internet. Why don’t shopping cart designers work with merchants, so we can get a cart that’s easy to use, update, and configure? The one time I received a response (not magento), was “We don’t need our job to be harder than it already is”. Seems they all have this mindset, as M2 shows us. Funny that software designers think they know more about what someone needs to run their business, than the actual business owner themselves. I don’t care what anybody says, M2 is a nightmare compared to M1. In every respect. I only know two hosting companies that even know how to install it correctly. So much for software making everyone’s life easier.